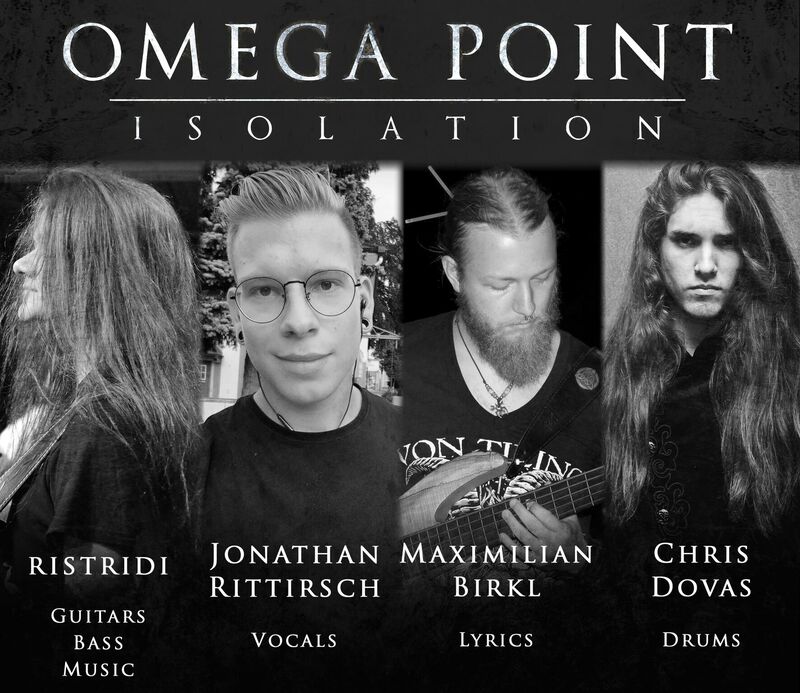 Omega Point is a project of guitarist and composer Michael Woess from Munich, Germany. The project is about to launch a new album entitled ‘Isolation‘ on September 1st. Read what Michael says about the project, the upcoming album and more in the interview below. Define the mission of Omega Point. Omega Point is a studio music project that strives to bring the emotional consequences of death into focus – whether it be thinking about death in general, suicidal thoughts or the loss of a close person. Tell me about the creative process that informed your upcoming album Isolation and the themes it captures. Most of the songwriting of Isolation took place during the recording process of my first album The Descent. I was and still am recovering from a personal crisis which resulted in wishes not to be there any longer and suicidal thoughts. Because more and more people seem to have similar problems and because there have been many cases like this in my personal environment – even leading to self-inflicted death – I had to express my feelings about this topic somehow. The first album The Descent was more about my own perception of death and thinking about suicide, while the upcoming album Isolation takes another person’s view on this topic. The protagonist goes through emotional pain and suffering caused by the death of a dear friend, getting more and more depressed and eventually isolating himself from the world completely. For me, writing music is a vent for strong negative emotions – like sadness, anger and hate, which is why my creative process may seem rather random or chaotic to some people. There is not much structure in my writing process. I don’t think much about what I’m playing or how I’m playing it. Ideally, I just stumble across a sad or powerful melody that then turns into an intro or chorus after some fine tuning. While remaining true to the original idea, I just try to go “with the flow” of the song and incorporate what seems to be the next logical step until the song is finished and feels right. Because of my affinity to progressive music, the ideas end up in time signatures like 7/8 or alternating time signature changes. However, I don’t throw in complex elements just for the sake of it – it must serve the song and must represent my current emotional state. Chaotic and aggressive moods turn into rather complex, turbulent riffs and more relaxed or sad emotions turn into sustained melodies. The similar approach the vocalist Jonathan Rittirsch and I had for writing melodies was very productive aswell – we nearly always had the same opinion and everybody got a say if one didn’t like what was happening, which was rarely the case though. What is the message you are trying to give with Isolation? I want people to look at mental health issues from a different perspective. While it is more and more common to have depressive phases or even depression as a condition, it still seems to be a topic that is widely overlooked by many people. Before I was affected, I would never have thought that I could fall so deep. It can hit you at any point in your life at any time, and our responsibility as humans is to look after people going through such strong emotions. I like to write in my room while sitting on my PC, however this is not always where I get my best ideas. Sometimes I just wake up and have a melody in my head and then try to replicate it on my guitar, sometimes it happens when I’m taking a shower. I then run to my PC, record the part and then leave it on my PC until I can work it out. Some years ago, I would have instantly documented it in notation programs like Guitar Pro. However, this has now become a step that comes at a very late stage in my songwriting process, because it somehow limits the creative flow. I record the idea, fiddle around with it until I’m satisfied and then later relearn what I’ve recorded to document it in Guitar Pro. Talking about drums, I like to map them out in MIDI first before having them worked out. I hope that it is perceived that way. Usually I write each song on its own and make it flow properly. Then, after having written several individual tracks I try to get a view for the bigger image and how the songs could merge into each other. By demoing the tracks and looking which songs fit together the best, I try to achieve a dynamic progression towards an outcome. In the case of this album, it starts off with the protagonist offering his/her friend help. This is why “The Last Light” is such a powerful, not yet hopeless song. After that, the friend commits suicide which leads to lack of understanding, anger, sadness and isolation. The songs try to incorporate these emotions and thus progress into a darker, more dismal mood. Just like with the first album, I tried to do as much as I can by myself. First there was the pre-production of course. At this point the songs usually have drum parts mapped out. The demos didn’t contain vocals yet though, as I don’t write the lyrics myself. This was Maximilian Birkl‘s dedication on this album, who in my opinion did a killer job by the way! Then I sent the pre-production to Chris Dovas to record his drum-interpretation. After receiving his recordings, I first continued with re-recording all my guitar tracks – except for the solos, which are usually already best-takes in the pre-production. Then, I recorded the bass parts and finally I invited Jonathan Rittirsch to map out the vocal phrasings and melodies and record the vocal parts after that. At this point I would like to quickly thank everybody involved: Maxi did an awesome job writing the lyrics for this album, Jonathan had a big stylistic influence on how the songs sound in the end with his vocal melodies and Chris Dovas really did great work bringing my MIDI drum parts to life by contributing his own ideas and recording powerful drums throughout the whole album! Also, I want to thank Chris Jones for his tasty guest guitar solo in “Eye Of The Storm”. How long “Isolation” was in the making? The production, from starting the writing through to finishing the mixing and mastering in total took 9 months. I started writing the first songs for this album in early December 2017 and finished the writing process at the end of March 2018. In mid May, Chris Dovas recorded the drums, followed by me laying down guitar and bass tracks, concluded by the vocal recordings. The recordings for this album were eventually finished in early August 2018. I think my biggest influences on this release are Wintersun and Devin Townsend, even though you can’t really compare it stylistically. The orchestral synthesizers and the complex time signatures resemble those artists the most, I guess. I also liked listening to Dark Funeral while writing the album. Some of my all-time favorites are Coroner and Megadeth, however I don’t think those influences are that noticeable on this album. I love that through advanced technology, more and more people have the opportunity to produce music easily. Because of inexpensive DAWs like Reaper and subscription models for plugins that model real analogue devices, everybody can acquire basic production skills if he or she is willing to put in the time, effort and money to gain experience on that field. Yes, I want to get people and society to think more about those in distress – to keep an eye on their surroundings’ and their own mental health. I’m just about to start “Sound And Music Production” Studies at the University of Applied Sciences in Darmstadt, Germany in October. Thereby, I want to learn more about production so that my future albums will always grow in matters of sound quality and that I can also get better at producing band projects in general. 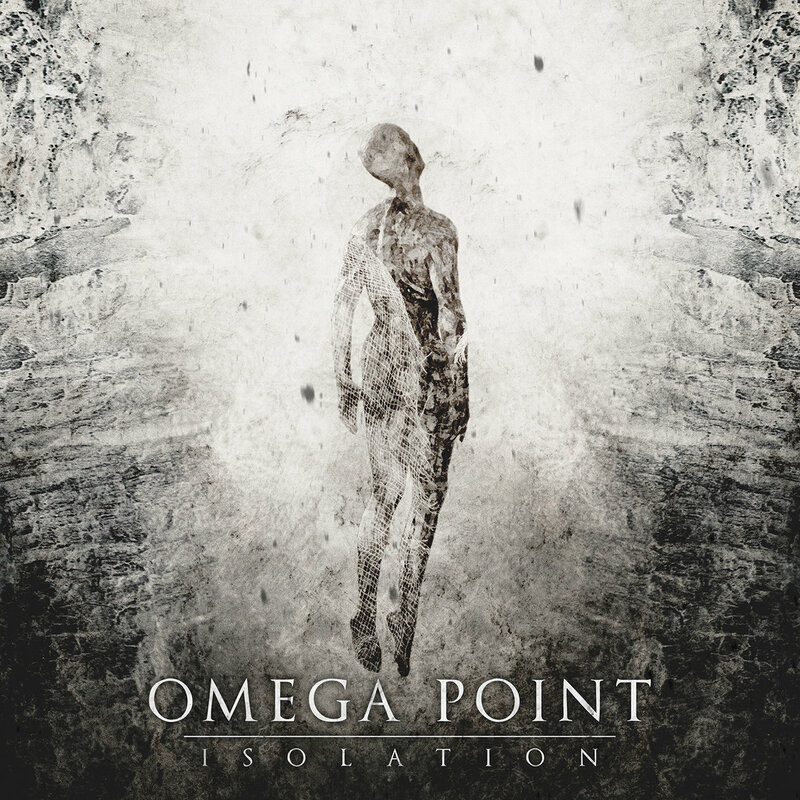 Someday, I will try to gather a live line up for Omega Point. I’m also in contact with a few bands in Darmstadt’s surrounding areas to join them in creating new music and of course, I’ll always try to grow my YouTube channel. Isolation is out on September 1st; pre-order it from Bandcamp. For more information about Omega Point visit the project’s website and Facebook.